One handed fast fitting and even faster removal fittings. Spring loaded locking mechanism that can be removed even under load. They are not as secure as other fittings but are useful in many situations, caution should be taken due to the release under load feature. 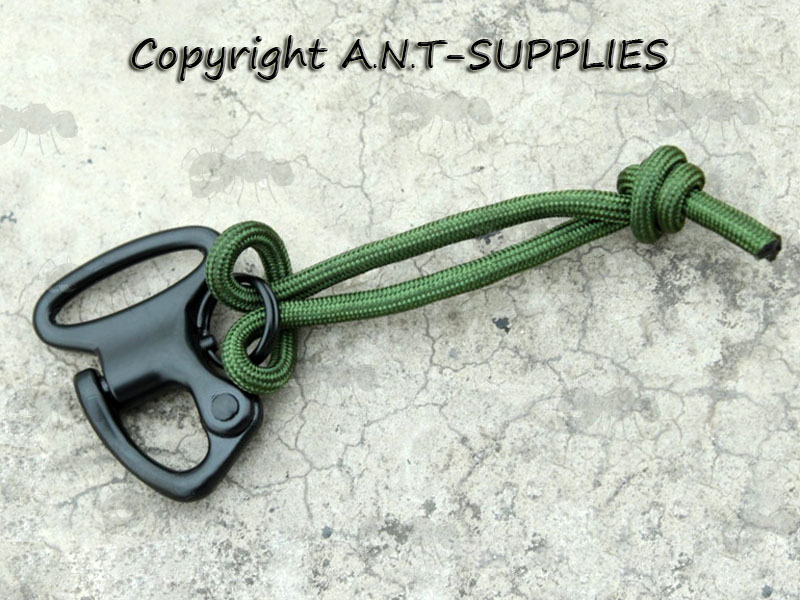 Spring loaded pull pin with paracord fitted. 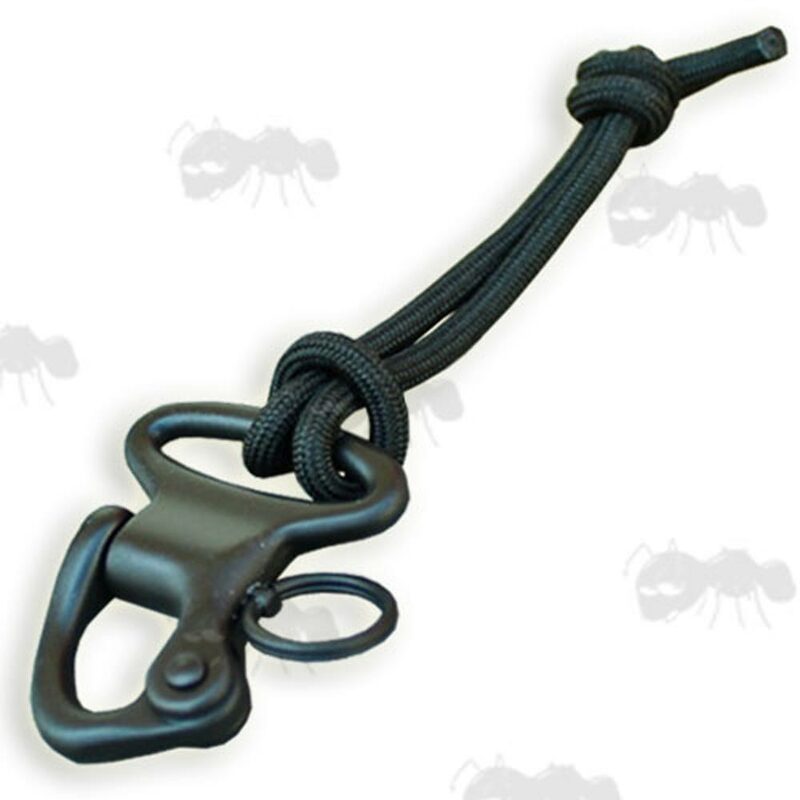 Quick release 1 inch snap shackle with paracord pull. 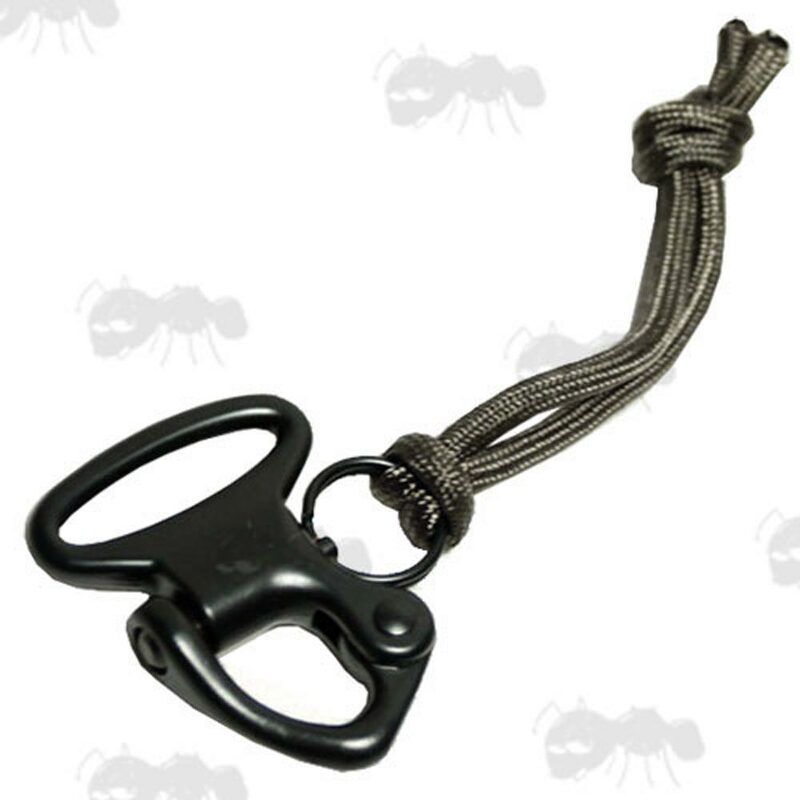 Also available ~ MOLLE fitting snap shackles.